Brainware University and the Degrees awarded by it are recognized by the UGC. Click Here to View Letter of UGC on Recognition of Brainware University. Brainware University is a full fledged university and not a deemed university. Brainware University offers B.Pharm. and D.Pharm. courses. Click Here to view PCI approval for B.Pharm. Click Here to view PCI approval for D.Pharm. 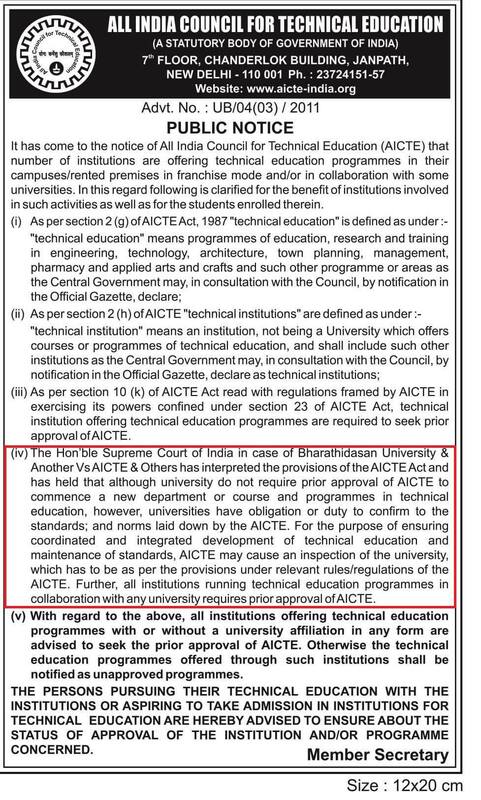 As per law, Universities do not require AICTE approval. Only institutions which are affiliated to Universities require approval. Click Here to view AICTE Notice. As Brainware University is a Bonafide University established by a State Act, it does not require AICTE approval. This standing of law is notified in the case of Bharathidasan University Vs AICTE. Click Here to View AIU Recognition of Brainware University.